Over the course of eighteen years, I’m sure Tom Brady has heard people call him just about every name and phrase in the book as he continues to win and bring in Super Bowl ring after Super Bowl ring. NFL Films mic’d up just about everybody that had something to do with Super Bowl LIII as they wanted to miss absolutely nothing for the biggest game of the year. The result came out to be a spectacular 41-minute video. 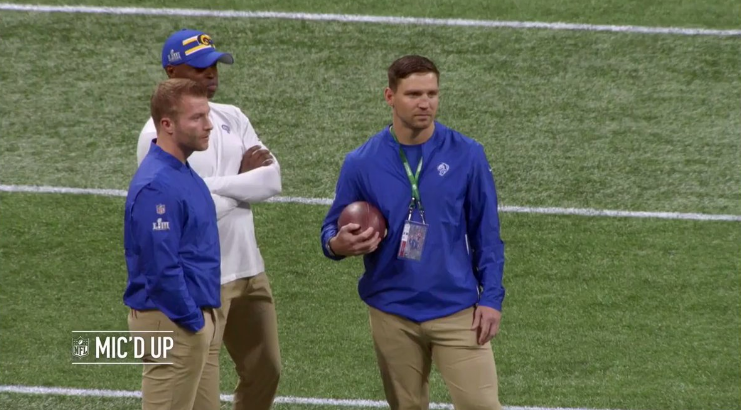 Among the many players and coaches mic’d up during the game in Atlanta was Rams assistant linebackers coach Chris Shula, a guy most people will recognize only because of his famous last name. Shula was mic’d up during that game, but he likely forgot when he made a comment about Patriots QB Tom Brady. Even though the comment wasn’t made known until now, you better believe the fan base will let him know about it when the two teams meet up again.